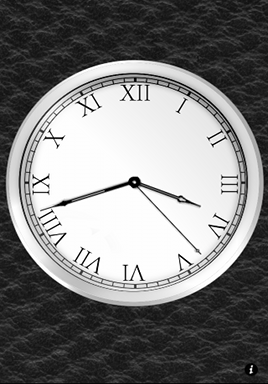 Now available from the app store as a free download, dw Clock a stylish and simple analogue clock. Designed to make use of your iPhone when it is in a dock on your desk or beside the bed. The option to dim the display and prevent the screen saver activating makes it an ideal bedside clock. We intend to release upgrades to this app as and when we have time so check back for future updates.